Blog- Find the best tattoo artists, anywhere in the world. Choosing the best tattoo artist that will perfectly suit you is not an easy thing to do. It’s not like your just going for a walk and looking for a tattoo shop and then take the first shop that you see along you way. Your tattoo can be on your body for a lifetime. It is a permanent thing on your body unless you consider removing it, but the fact is that getting a tattoo removed takes a lot more pain and cost than to just get it right the first time. That’s why it’s important for you to be sure regarding on choosing the right tattoo artist for you. Regarding on how to choose a tattoo artist that suits you, there are several thing that you must also consider. These things can give help you to choose the best one for you. There is no doubt that over the last couple of decades, attitudes towards tattoos have on the whole changed for the better. 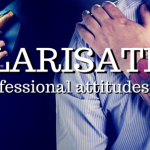 It is arguable that the perception held by the general public of those with ink as bikers, sailors and criminals has faded, and tattoos are increasingly being seen for what, in most cases, they really are; an individual’s expression of themselves, and an appreciation for legitimate art. 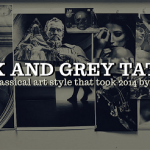 Black and grey as an art medium has been around for centuries, and in the tattoo world we are in the midst of the biggest movement of black and grey tattoos we have ever seen. Single needle black and grey is no longer only for inmates and gangsters. It has evolved into a beautiful artform that is one of the tattoo styles that took 2014 by storm. Where did you grow up? Do you think this attributed to you becoming a tattoo artist or did this happen by other means? I spent most of my time in New York, and its where I received my BA in Psychology, as well as my apprenticeship. The main reason I became a tattoo artist was because I had always loved art. I was fascinated with creating something from nothing out of my imagination. I was intrigued with making something 2D, appear 3D. I was on my path to becoming a Clinical Psychologist, when I realized that I had to pursue my first love, which was art. Can you describe your current studio to us? How does it differ from your previous setups? I am currently working out of American Crow Tattoo in Columbus, Ohio. American Crow is a boutique tattoo parlor of sorts with an old world gentlemen vibe. The moment you walk into the shop, you are greeted by countless antiquities and a pleasant scent of natural oils that are blended in house by Tiffany. The staff is dressed to nines, so to speak, on a daily basis. The shop is a quiet suburb of Columbus but has made a name for itself in just the year it has been open. The shop is completely different than any other shop I have worked for previously. The attire that we, as a whole, wear on a daily basis gives the studio an upscale feel that is unlike any other I have experienced. This most recent move, to this studio, was an exciting step on to a new avenue of tattoo studios I have yet to experience.